The Undertakings for Collective Investment in Transferable Securities (UCITS) directive was first adopted in 1985. The idea was to promote uniformity of regulation throughout the European Union, allowing each member state to authorise and sell funds to the public of another member state. This would, in theory, lead to a single European market for financial services. 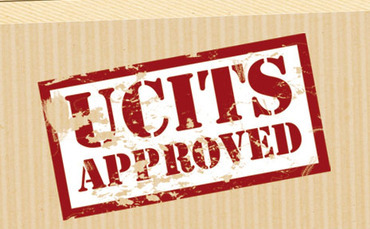 A further iteration of UCITS has been under consideration since December 2010, when the European Commission (EC) began a consultation to discuss amendments, especially in the light of the Madoff fraud and the Lehman Brothers default. It covers three core areas: depositaries, UCITS Management Company remuneration policies and sanctions for breaches of UCITS law. Does UCITS V Apply To Me? If you are a stakeholder, depositary or asset manager in a European UCITS fund, UCITS V will affect you. Its ultimate aim is to support the end investor. When Does UCITS V Start? The UCITS V text was formally proposed in July last year and was finalised in April for adoption by the European Parliament and Council of Ministers. It is expected to be fully in force by late 2014. A “strict liability” standard will be introduced whereby assets lost in custody have to be returned, regardless of negligence or fault. Even if the loss was at sub-custodian level, the directive will hold the depositary accountable. UCITS V also comes with a definition of who can act as depositaries, citing MiFID-authorised investment firms and EU-authorised credit institutions. There are also rules on when depositories are allowed to delegate safekeeping duties to a third party sub-custodian, bringing it in line with AIFMD. Depositories will have to be cautious when selecting third parties, conduct periodical reviews of their performance and justify a significant reason to delegate safekeeping. In order to make sure that appropriate risk management occurs and short-term risk taking is reduced to a minimum, remuneration policies will be introduced through UCITS V.
Employees who impact on a UCITS’ risk profile, including all “senior management”, will be affected by the new remunerations. If you need help adapting your practices to comply with UCITS V regulations, there are firms such as UnaVista that work to help asset managers, depositories and stakeholders comply with financial regulations.